The purpose of this review was to examine studies of interventions for the prevention and management of taste and smell alterations (TSA) experienced by adult oncology patients. Articles published between 1993 and 2013 were identified by searching CINAHL, MEDLINE and Food Science & Technology Abstracts (FSTA) and were included if they were in English and focused on adult oncology patients. Only interventions within the scope of nursing practice were reviewed. Twelve articles were identified for inclusion. Four research groups examined zinc supplementation, with two claiming that zinc supplementation was an effective intervention and two claiming it had no effect on TSA. The remaining research groups examined eight other interventions, with varying results. Marinol, megestrol acetate and Synsepalum dulcificum interventions appear promising. 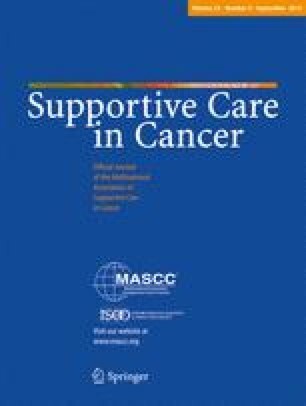 Based on this review, there does not yet appear to be an effective approach for preventing or managing TSA in adult oncology patients. Although some interventions show promise, further research is necessary to determine their efficacy. The authors declare that they have no competing interests. The authors have full control of all primary data and permit the journal to review the data if requested.